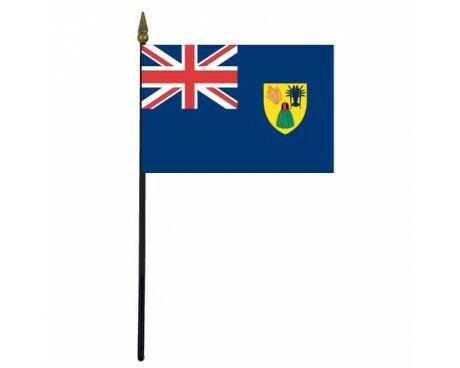 Turks & Caicos Stick Flag - 4x6"
The Turks and Caicos Islands are a British overseas territory, and their flag is a representation of that relationship. 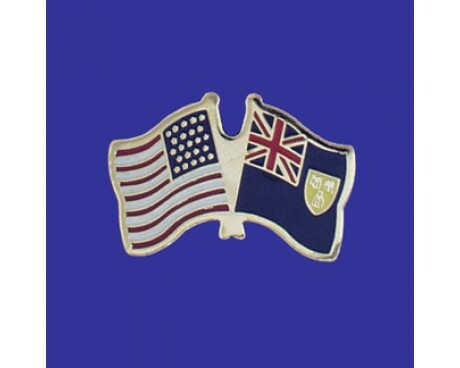 There have been two Turks and Caicos flags over the course of their time in the British Empire, and both of the flags combined symbols of Britain with symbols of the islands to create designs that reflected both the unique aspects of the islands and their relationship to the British Empire as a whole. The Turks and Caicos flag follows a pattern that has been used to represent British colonies for more than a century. 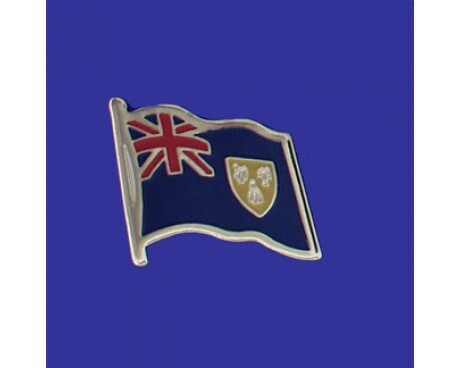 It combines the blue field of the British ensign with the Union Jack in the flag's canton and the coat of arms of the Turks and Caicos Islands in the fly. The Union Jack is a symbol of the British Empire and its use in the flag represents the role Britain in the islands' political life, while the coat of arms represents the islands themselves. It includes a cactus, a conch shell, and a lobster, which represent the variety of the islands' natural bounty. The modern Turks and Caicos flag is not the only flag that has represented the islands over the course of their history. The first of the Turks and Caicos flags followed a similar design, but the colonial seal was very different from the modern coat of arms. It displayed a ship sailing past a man who was working to extract sea salt, which was once a major industry in the Turks and Caicos Islands. The flag was first adopted in 1875, and it was used without changes until 1889. The 1889 flag made a slight adjustment to the salt piles on the seal, which had been mistaken for huts. The 1889 flag was used without any significant changes until 1968, when the relationship between the British Empire and its overseas territories began to change and allow for greater autonomy. The Turks and Caicos Islands adopted the modern flag at that time, and they have used it to represent themselves without making any changes since that time.